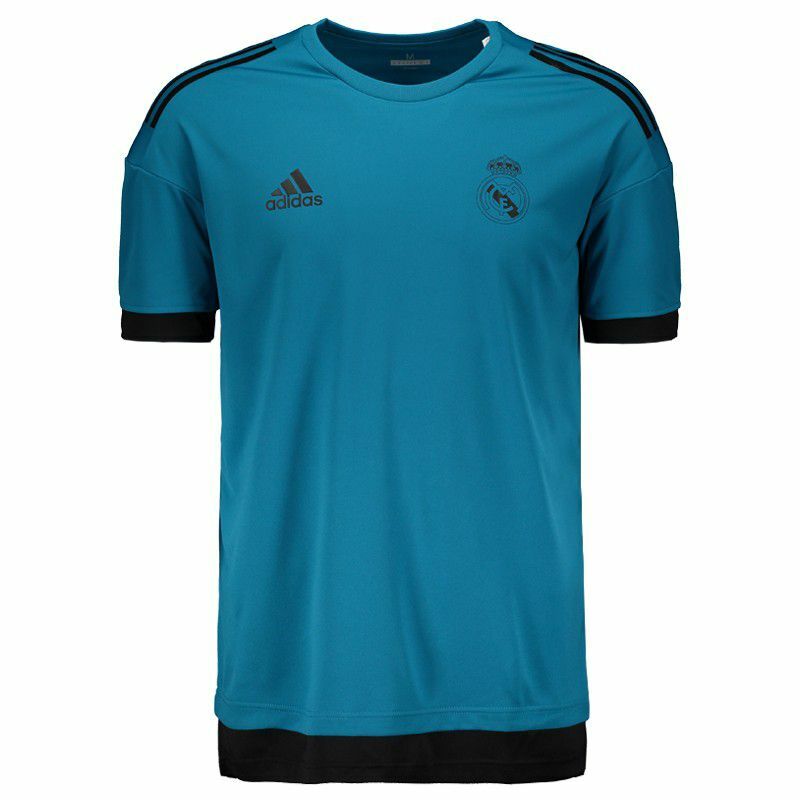 Produced by Adidas, the Real Madrid 2018 Champions League training shirt is made of recycled polyester for lightness and freedom of movement. Its design is composed of a shade of turquoise blue with details in black. More info. 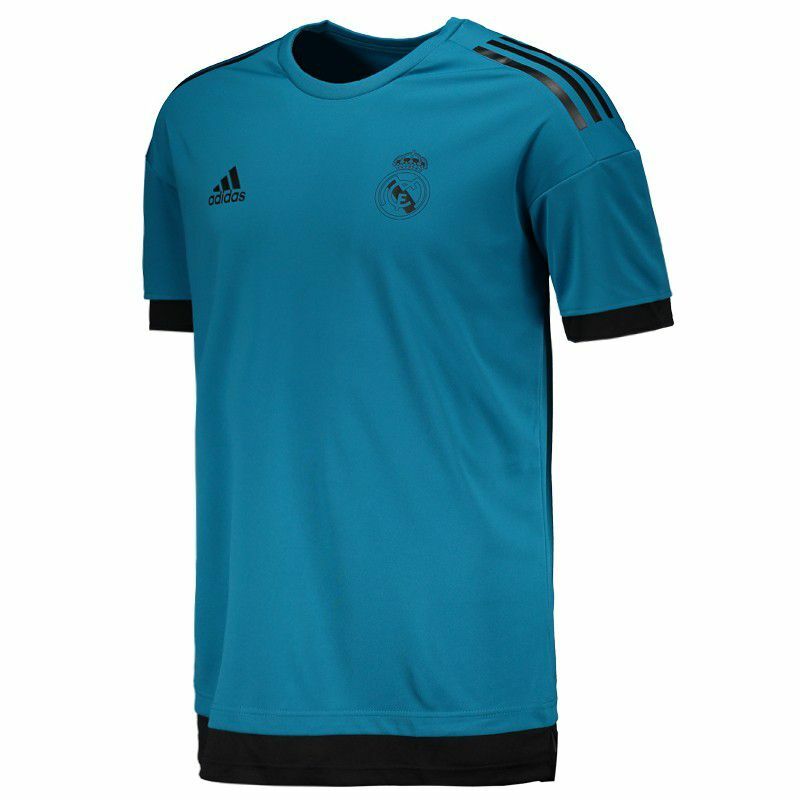 Produced by Adidas, the Real Madrid 2018 Champions League training shirt is made of recycled polyester for lightness and freedom of movement. 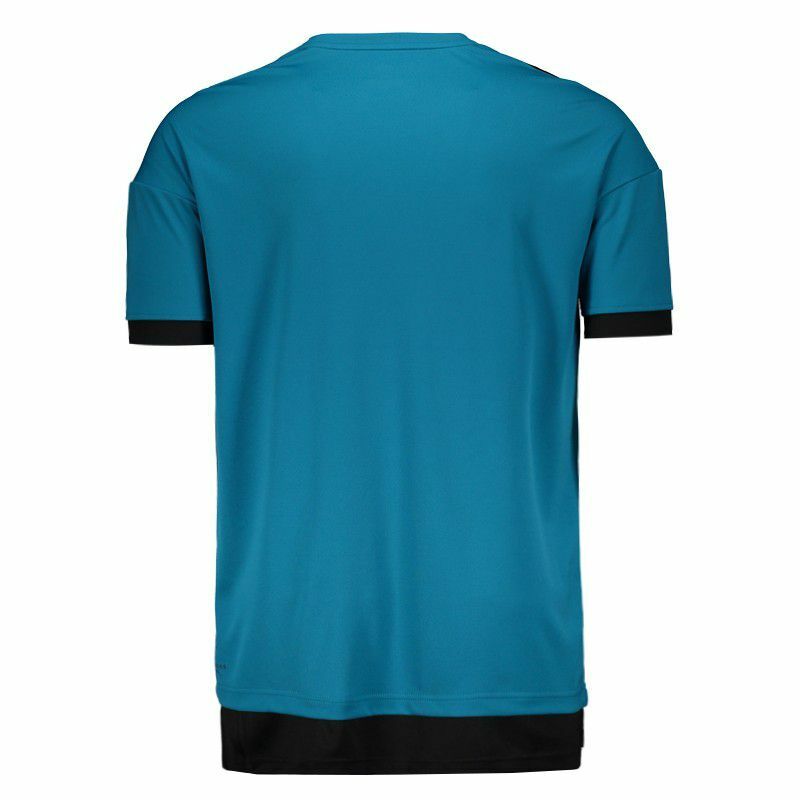 Its design is composed of a shade of turquoise blue with details in black, as can be seen in the fabric superimposed on the region of the sleeves and bar. 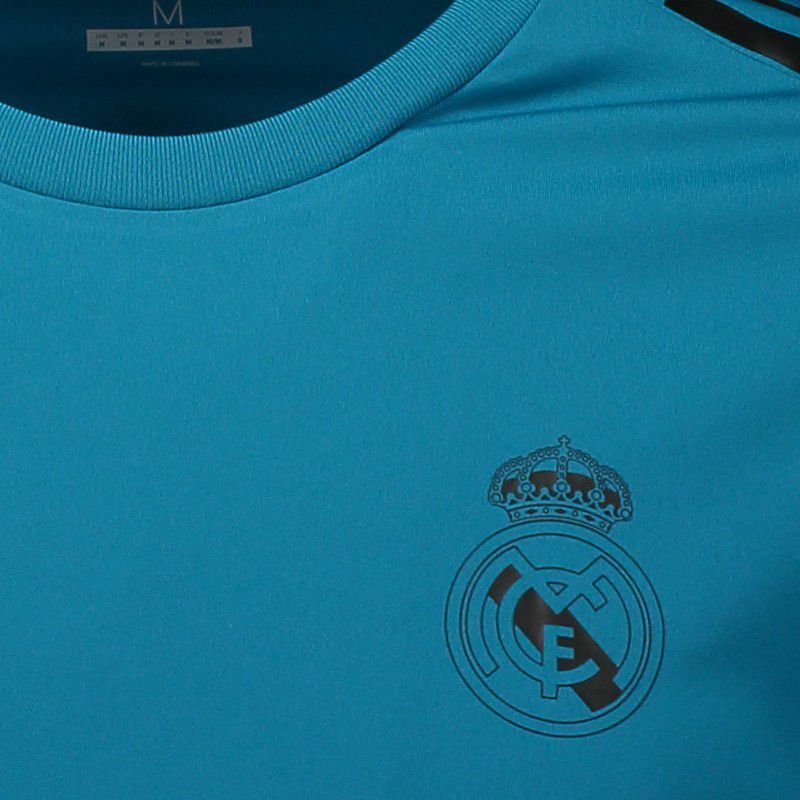 The same color is seen in the Adidas logo, which is present on the shoulders and right side of the chest. Already on the left side, team badge appears set in prominence. In addition, near the bar, the UCL seal marks presence adding even more charm to the mantle. Finally, the short sleeves complement the details as well as the crew neck.